This selection also takes place because of the frequent linkages between individual cases that combine aspects of both pathways of biomass usage in the sense of coupled and/or cascaded utilization. The consideration of further elements of the value chain (like the sustainable production of biomass or the relevance for waste management) will be included case-specifically. Below, the individual case groups are presented in more detail. The production of plastics based on renewable raw materials is not a technological innovation. In the 19th century, plastics already have been produced using cellulose, and thus preceded the production of plastics based on mineral oil, which is referred to as “conventional plastics” today. Subsequently, these conventional plastics prevailed in the market. In 2012, bioplastics only had a share of 0.4% of the yearly global plastics production. Triggered by their attributed potential to make important contributions to preventing negative environmental effects of conventional plastics and to reduce the global oil consumption, bioplastics have come into focus of politics and research again since the mid-2000s. However, the frequently used term “bioplastics” obscures the heterogeneity of the materials and products subsumed under that term. Particularly important is the distinction between “bio-based plastics” and “biodegradable plastics” as well as the fact that products made from bioplastics do not necessarily have both attributes. Bio-based plastics consist to a certain extent of mass from biogenetic resources like for example cellulose acetate (CA), polylactic acid (PLA) or polyhydroxy butanoic acid (PHB) but aren’t necessarily biodegradable. Biodegradable plastics decompose under natural or technical process conditions. Whether the resources are bio-based or mineral oil-based does not influence the biodegradability of these products. Hence, there are plastics on the market that are not biodegradable even though they are bio-based as well as conventional types of plastics that are biodegradable. Despite increasing societal debate about bioplastics, energetic usages of biomass (bio fuel and bio energy) received much more regulatory support than material use, for example by implementation of tax exemptions or quota regulations. Nevertheless, the production of bioplastics is a growing market: the yearly production has increased by 20 percent on average since 2007 and similar growth is projected until 2020. On national and European level, new measures have been initiated to promote bioplastics. For example, France adopted an energy transition act to implement the EU directive 2015/720, thereby making it obligatory that certain (shopping) bags for fruits and vegetables have to be produced from bioplastics. The European Commission adopted the first-ever Europe-wide Plastics Strategy in January 2018 with the goal to reduce plastic waste and decouple the production of plastics from fossil resources. Given these interesting recent developments, conducting research focusing on the case group “bioplastics” is necessary as part of examining political processes in the bioeconomy. The research focuses on questions about the promotion of bioplastics, triggers or causes for attitudinal changes towards the potential benefits of bioplastics and questions regarding the regulation and certification of bioplastic materials. The usage of biofuels and its political promotion in Germany go back a long way and – especially in the last decades – took an eventful and turbulent route. Considered some kind of silver bullet for solving many interrelated social and ecological problems at the start of the 2000s, public perception of biofuels changed drastically by the end of the decade as their climate balance and carbon footprints were questioned. Furthermore, they were held responsible for global increases in food prices (‘food vs. fuel’) and the phenomenon of “land grabbing”. Finally, qualms regarding their compatibility with conventional combustion engines (‘E10’) continuously raised. Within a short time span, the multiple problem solver ‘biofuels’ seemingly became a multiple problem itself. This public ‘career’ of biofuels is reflected in their political support. In Germany, they have initially been promoted via a comprehensive tax exemption, which has been replaced by a quota model from 2006 on. This has led to an ongoing stagnation of the, until then rapidly rising consumption of biofuels in Germany. This policy shift corresponds with the policy for biofuels at the European level. As of 2009, the Renewable Energies Directive (RED) set an ambitious and binding target of a 10 percent share for biofuels in 2020, which is coupled to mandatory sustainability criteria that biofuels have to meet. The abovementioned conflicts regarding biofuels, however, were not eased by these political measures. Nevertheless, the debates on biofuels slowed down in recent years. It is easily overlooked, though, that biofuels still are a pillar of many decarbonisation strategies in the transport sector and – in consideration of the slow expansion of electro mobility – are likely to stay relevant in this context in the foreseeable future. With regard to the still virulent conflicts over biofuels, however, it remains unclear whether the political support for biofuels will be upheld after 2020. Furthermore, it is questionable in the context of this case group, whether the relatively new framework of the bioeconomy influences or changes existing biofuels policies. Bioenergy includes all sorts of energy that are obtained from recent (not fossil) biomass. It is one kind of renewable energy besides solar power, wind energy, hydropower, marine current energy and thermal energy. Biomass is built up by metabolic processes of living organisms. Primary components are organic, i.e. carbonic molecules, which are synthesized by primary producers (plants) through photosynthesis driven by solar radiation energy. Biomass can be transformed and stored into gaseous, liquid or solid forms and delivers energy as electricity, heat or power. This storability and its permanent availability is the main advantage of biomass as a renewable energy source over other forms of renewable energies. In developing countries biomass is primarily used for cooking and heating in the form of wood, coal and manure (traditional use), which is often highly ineffective and hazardous to health. The innovation potential of biomass use in Germany and other industrial countries mainly lies in the field of medium and large bioenergy plants (modern use). The expansion of renewable energy production in Germany shall help to overcome fossil resources dependencies and contribute to a transformation towards a bio-based economy. Since the energetic use of biomass releases CO2, which had been absorbed from the atmosphere beforehand, it may have a positive effect on the climate footprint. However, the energetic use of biomass competes with other fields of bioeconomy (production of food and feed, material use). 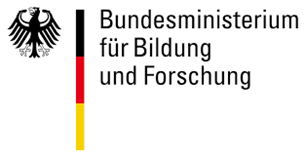 According to the German Bio-Economy Council, the priorities for the use of biomass are food, feed, fibre, fuel. In addition, there are also conflicting interests with ecological (environmental protection, biodiversity) and social demands (settlement area, recovery) caused by the continuing shortage of space. Designing bioenergy policies, notably interdependencies with the goal of food security, e.g. due to coupled food and energy prices, have to be considered. Direct or indirect negative effects like rainforest clearing, soil degradation, land grabbing, or displacements should not nullify positive effects of energetic biomass use. Therefore, coupled and cascaded utilization of biomass, use of secondary resources (residues and waste materials) and cultivation of primary feedstocks on marginal and degraded land not competing with other types of land use are currently strived for as promising solutions. In the Bio-ÖKOPOLI project, the case group bioenergy takes into account political processes on the generation and use of power and heat (or cold) from biomass. The actual case selection of the project can be found here.